Eight fluffy, flavourful hot dog (or sausage) buns. This recipe is a repeat from last year, but it’s such an important thing to know how to do – now that the weather has finally warmed up. After overnight and a brief kneading. 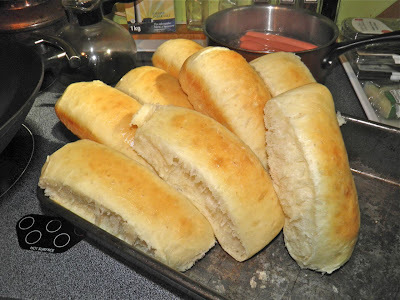 Have you ever made your own hot dog or hamburger buns? Since the weather has well and truly turned, I thought now would be the perfect time to show you how. If you’re planning on having barbecues (and really, who isn’t?) why not try them? They’re so much better than what you purchase there’s really no comparison. Seriously. These buns are a bit of work, or to be clearer, take some time. They rise three times. 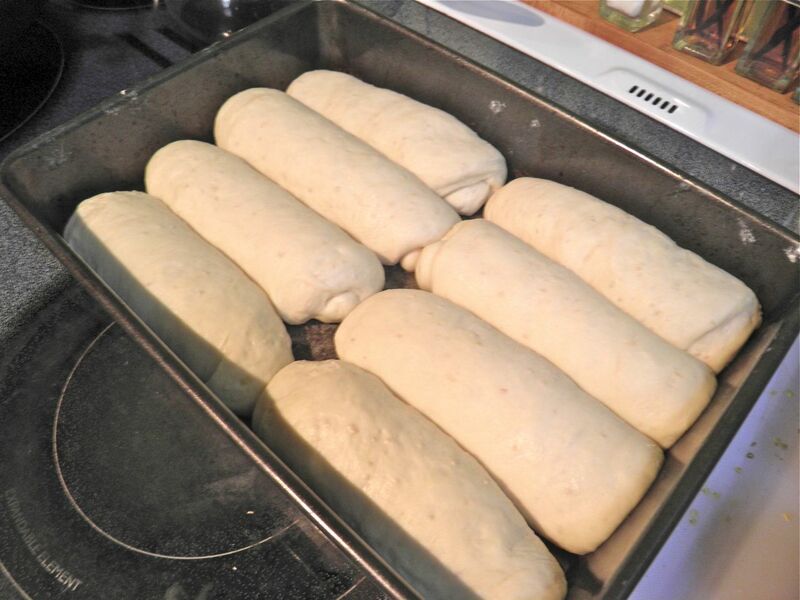 First overnight (so you’re sleeping), second through the day (so you’re outside enjoying yourself), and then a quick one just before popping into the oven. So you can see, they may take time, but they’re really not a whole lot of labour. They’re so good in fact that perhaps you would really consider doubling this recipe. They won’t go to waste, and that cuts the per roll “work” in half for your yield. Ready to be shaped after rise #2. You will get compliments on your hot dog buns. These are really good. 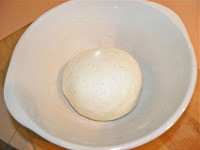 The first overnight raise is what is called a pre-ferment or starter. This not only adds more flavour and better structure to the rolls, but also helps them stay fresh longer. It’s an old way of beginning bread and is common in artisanal breads. These rolls came out really very nicely. They were soft and had a delicious home-baked aroma from the starter. During baking they increased in size by at least 400% from when they were initially shaped. If you have the time, you should try this recipe. It’s dangerous, though. Once tasted, your family won’t settle for anything less! Mix the milk, flour and yeast together in a bowl. Cover tightly with plastic wrap, place in a warm spot and let rise overnight. The next day, proof the next tsp of yeast in the warm water and sugar. The water must be between 110° and 115°F. Any warmer will kill the yeast. Combine the proofed yeast and water with the remaining ingredients, including all of the starter dough. Begin by using 2-1/2 cup of the flour. Only add more if absolutely necessary. The dough will be quite damp feeling, very soft and somewhat sticky. Place in a bowl and let rise for 6 more hours. Punch the dough down. 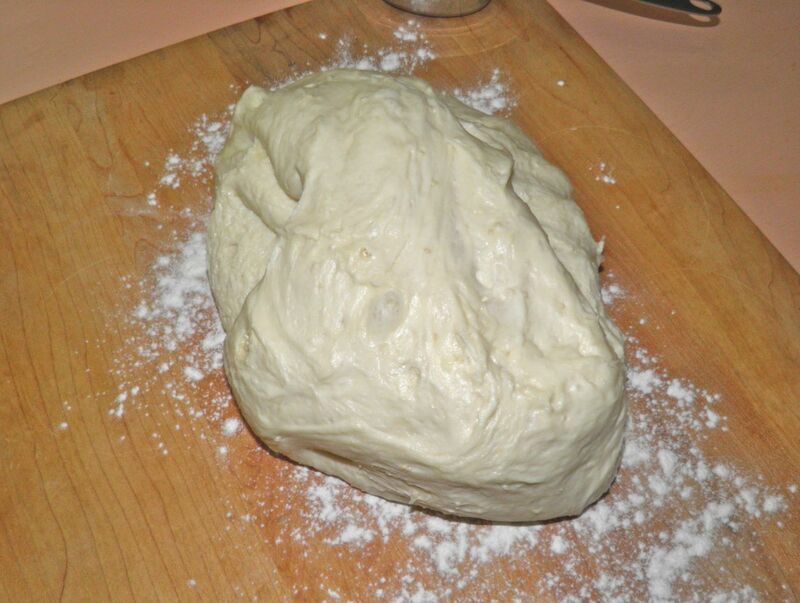 Put the dough on a lightly floured board and divide into 8 equal pieces. For Hamburger Buns: Shape into balls, and place on a greased baking sheet. 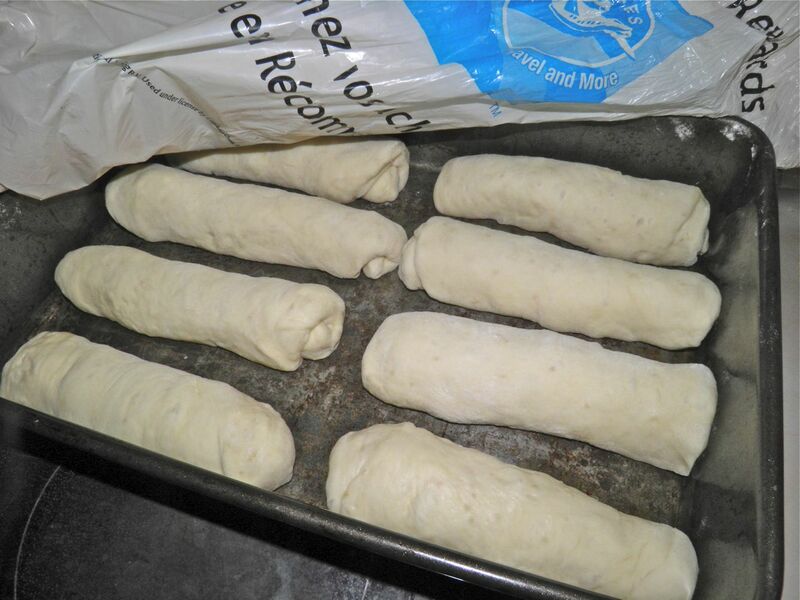 Flatten out a lot with your fingers so they don’t bake as round balls. The buns can touch. Cover, let rise for 45 minutes. For Hot Dog Buns: Shape each piece into a 6x4 inch rectangle. Starting with the longer side, roll up tightly, and place seam-side down in a 9x13 pan (in 2 rows of four). Let rise 45 minutes. Bake at 400°F (200°C) for 20-25 minutes, or until golden brown. Remove from the oven and rub the tops with margarine while still warm. My favourite toppings – onions, mayo and relish. Who makes their own hotdog buns. Seriously? Who? Call me when you make your own hot dogs. LOL. 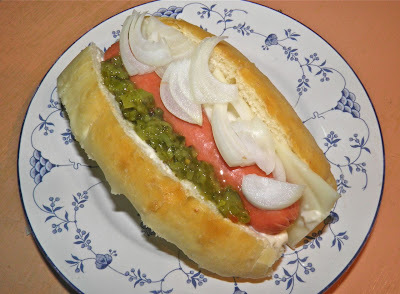 You are the only person I know who makes their own hotdog buns. And the only person I know who enjoys a little junk food from time to time but insists on making if from scratch. I just love you.